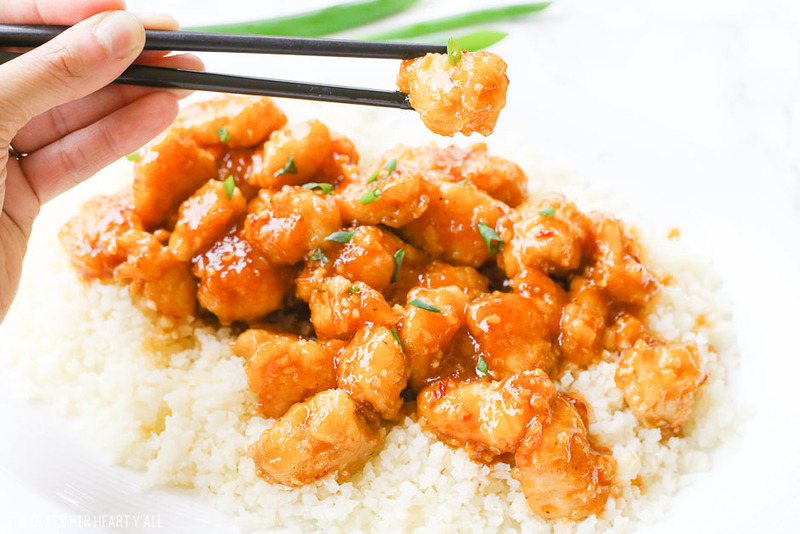 Sticky Honey Garlic Chicken - One-Pan, 100% Baked, & even Gluten-Free! One-pan baked gluten-free sticky honey garlic chicken recipe is 100% gluten free and not fried in a frying pan for even a moment. Tender pieces of chicken are lightly breaded in a homemade spiced coating and then drizzled in coconut oil and a 5-ingredient sticky honey garlic sauce and then baked to perfection. One-pan baked gluten-free sticky honey garlic chicken recipe makes a classic dish like sticky honey garlic chicken and turns it into a healthier version all at home with minimal effort. First off, the honey garlic chicken is baked in a baking dish and not deep fried in a skillet. 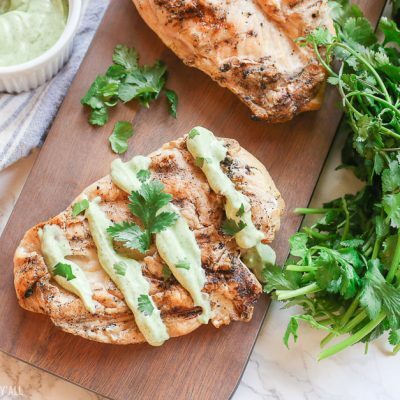 Coconut oil is added to the bottom of a glass baking dish so the chicken pieces don’t adhere to the pan, but you will not find deep fried anything in this recipe. One pan is all that it takes to make this dish become a part of your weekly dinner lineup. 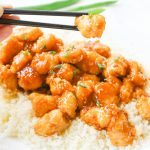 One dish, just like BHHY’s One-Pan Baked Gluten-Free General Tso’s Chicken and the One-Pan Baked Gluten-Free Sweet and Sour Chicken recipes are. There isn’t a bunch of steps, like skillet fry first, then bake in the oven for a bit here. Nope. Stick your chicken in the one baking dish and be done with it. Less to clean up and put away in the end. 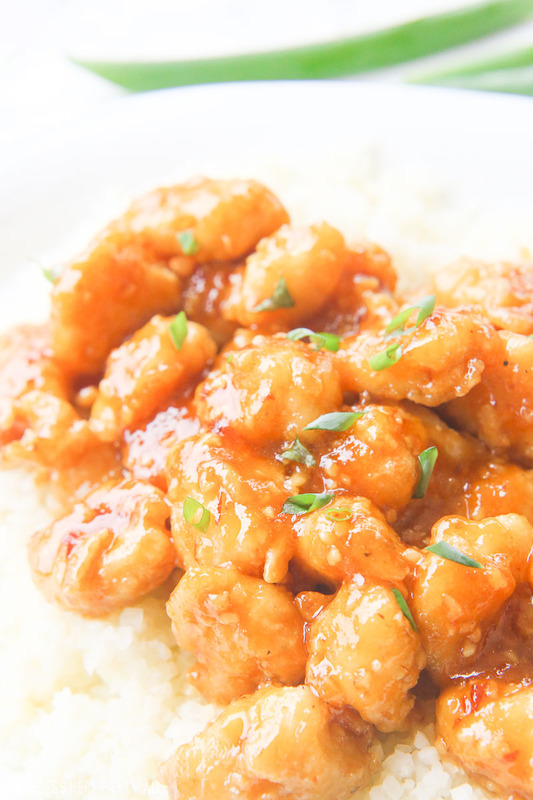 This sticky honey garlic chicken is also completely gluten-free. 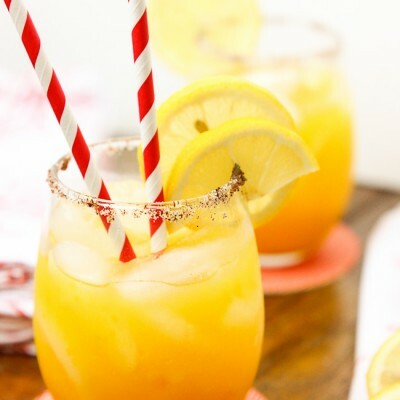 I have included some basic gluten-free ingredients in this recipe with simple alternatives in case you don’t have them stocked in your pantry. 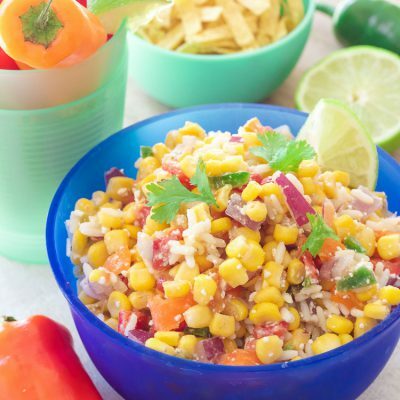 Things like cornstarch and arrowroot starch, brown rice flour and white rice flour, and gluten free chili paste and sriracha sauce, can be swapped out in this recipe. 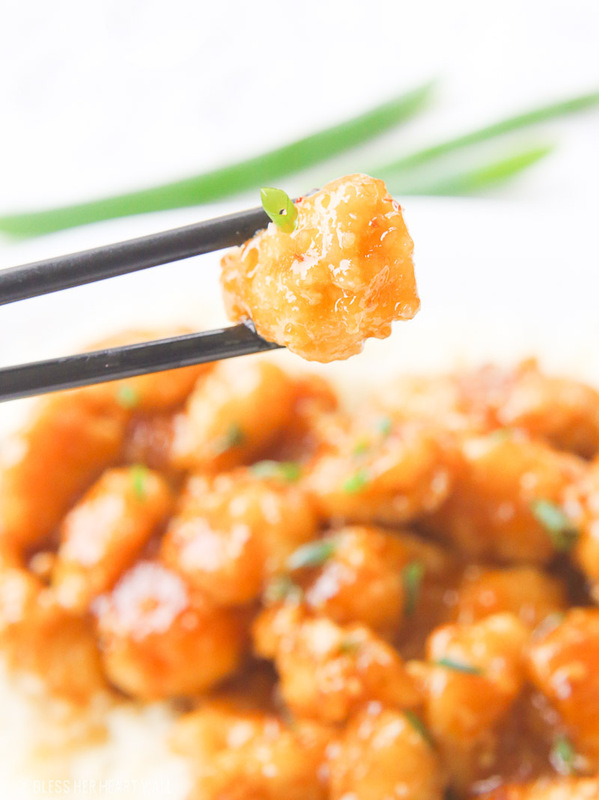 This honey garlic chicken can be made in under an hour too. A few minutes of prep work is all it takes. Then 45 minutes in the oven to bake. Then another 5-10 minutes to bake once the 5-ingredient sticky honey garlic sauce is applied. Then boom, time to eat. I bet that you already have the 5 ingredients to make the sticky honey garlic sauce in your pantry. The sauce is just a mix of honey, minced garlic, liquid aminos (or gluten free soy sauce), onion powder, and chili paste (or sriracha). 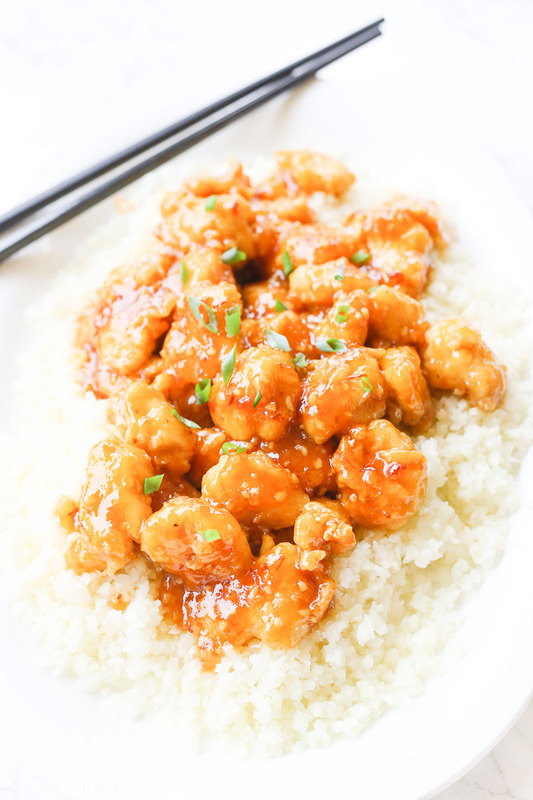 This sticky honey garlic chicken is best served over a bed of brown rice, fluffy quinoa, or steamed broccoli or cauliflower rice like pictured here in this post. I also like to add chopped green onions and sesame seeds on top. I feel like it kicks it up a notch. I like to put the flour in resealable plastic baggies and use that to shake and coat the chicken in flour. It’s less messy for me than bowls and less dishes to clean up later. Feel free to use whatever method you’d like to get those chicken pieces evenly coated in flour. You really do want to stir the chicken pieces every 15 minutes while it is in the oven. Stirring it those 2 times will ensure that all the sides of the chicken pieces get evenly cooked. Preheat your oven to 350*F. Place the coconut oil in the bottom of a 9 x 13 baking dish and evenly distribute the oil over the bottom of the dish. In a medium bowl, add the beaten eggs. Set aside. In a large ziploc bag, combine the arrowroot starch, 1/2 TBSP onion powder, garlic powder, salt and pepper and mix well. In another large ziploc bag, pour in the rice flour. Set these two bags aside. Dip the cubed chicken pieces into the egg and allow the excess to drip off. Then place the chicken pieces into the bag with the rice flour, zip the bag up tightly, shake the contents until evenly covered in the flour and then remove and place the pieces inside the bag with the arrowroot starch mixture and do the same shaking technique as before. Place the coated chicken pieces into the baking dish and bake for 45 minutes, stirring every 15 minutes to allow the chicken to cook and crisp evenly. While the chicken is baking, combine all of the sticky honey garlic sauce ingredients together in a medium bowl. Once the 45 minutes is up, pour the sauce overtop the chicken and stir to make sure that the chicken pieces are entirely covered in the sauce. Place any chopped vegetables you would like cooked with the dish into the baking dish and stir. Cook for another 5-10 minutes or until the chicken is fully cooked and the sauce starts to thicken and turn into a glaze. Remove from oven and serve while still warm. The sauce will thicken slightly more while cooling. This arrowroot starch/flour is awesome. So is this brown rice flour. Looking for a good coconut oil? This yummy coconut oil comes in a 2-pack! Here is the baking dish I used in this recipe. It requires very little scrubbing afterward. These are my favorite reusable and dishwasher-friendly chopsticks to use at home.